The Laser Swamp™ by Froggy's Fog has been wowing spectators at professional haunts around the globe, now you can own it yourself! 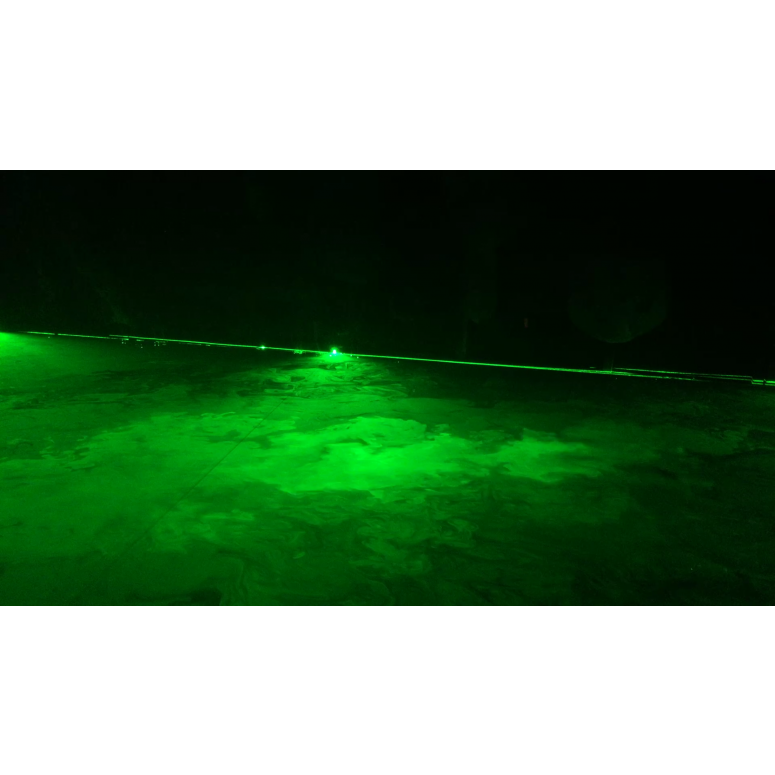 Introducing the Laser Swamp™ creates the illusion of wading through Green, Red or Blue water with the help of Haze and Lasers. Safe for use anywhere! Purchased laser swamp package at the 2017 Transworld show. Received product starting to set up. Is there any instructions for set up? Nothing came with it. We started with a flat black room 10'wide x16' long. The height is non critical; the demo was 10', but it could have been lower to make it easier to decorate with materials to brush people in the face. The width of the room is more important and the laser light tends to taper in strength when refracted through the haze. This varies with the amount of haze in the room but after about 7 ft the effect become faint. We mounted 4 lasers in the corners and two in the middle of the 16' walls. These were mounted belly button high as a personal preference. You want enough height to allow the actor in the black skin suit room to work below the lasers, but you don't want to expose shorter patrons to laser light in their eyes. There were two 36" wide doors in the middle of the 10' wall sections with 8" black PVC vinyl strip material("fear flaps") to block light and minimize the haze loss. We had a small fan just off of the entrance pulling some fresh air into the room the accentuate the swirl of the haze in the lasers to make the effect appear more fluid like. We decorated the room to visually distract people and focus their attention to allow the actor to work undetectedwith use of an animatronic witch prop to draw peoples attention.